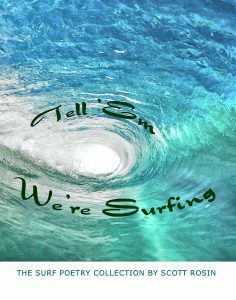 Setting Forth Publishes What May Be the Finest Surf Poetry Book Ever Written – Setting Forth! Here is the book description on Amazon. There are three versions of the book: a full-color beautifully illustrated coffee-table version, a smaller book with the poems only, and a Kindle version that is free with Kindle Unlimited.